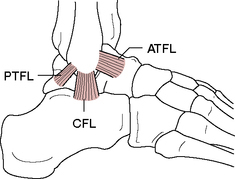 Figure 1: Lateral collateral ligaments of the ankle. PTFL, posterior talofibular ligament; CFL, calcaneofibular ligament; ATFL, anterior talofibular ligament. ATFL, anterior talofibular ligament; STJ, subtalar joint; CFL, calcaneofibular ligament. Origi damaged ankle ligaments under a red-card challnege from Ramiro Funes Mori during the Merseyside derby on Wednesday, and has since had two scans to reveal the extent of the injury. The 22-year-old injured ankle ligaments in training two weeks ago and is set to miss at least eight weeks of action as he looks to recover in time for the knockout stages of the League. Rory McIlroy's defence of golf's Open Championship has been thrown into doubt after he said on Monday that he had ruptured ankle ligaments in a friendly football match with his friends. Ankle ligaments are delicate things, I've had them myself. He has damaged ankle ligaments and we will monitor him this week. Captain Mike Burke is expected to miss the rest of the season after rupturing ankle ligaments in Saturday's 1-1 draw with Farsley, while fellow defenders Rob McIntosh and Tony Rendell will also be absent this weekend. DARREN Bent's hopes of playing for England in the Euro 2012 finals appeared to be shattered after it was confirmed he will be sidelined for up to three months with ruptured ankle ligaments. Meanwhile boss Shephard is now fit again after months out with ankle ligaments damage, but he is going to focus on management alongside Danny Carter. The Tottenham striker has been told he will miss around three months, and all of the Spurs' Champions League group games, after undergoing surgery to repair torn ankle ligaments. Brian has injured his ankle ligaments so the curse has struck again," Keane confirmed. Scans showed that Carsley damaged ankle ligaments in the FA Cup tie at Nottingham Forest after getting his studs caught in the turf. Summary: Arsenal boss Arsene Wenger is facing an injury crisis after it was confirmed striker Robin van Persie has partially torn ankle ligaments.